The Santiaguito volcano has erupted multiple times in recent days, sending ash plumes thousands of feet high, the National Coordination of Disaster Reduction of Guatemala said. 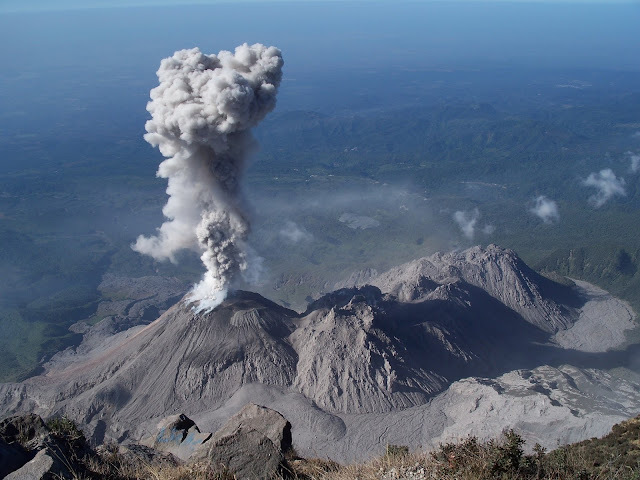 "Santiaguito volcano this morning recorded an eruption with a moderate explosion that generated" an ash plume about 10,000 feet high, the disaster agency, also known as CONRED, said in a statement Wednesday. CONRED has warned nearby residents of falling ash. On Tuesday, CONRED reported an "explosive activity" that caused a "strong explosion" in the Santiaguito volcano. On Sunday, the Santiaguito volcano -- also known as the Santa Maria volcano -- had a moderate explosion that generated an ash plume nearly 20,000 feet high.